Is it dangerous to microwave plastic? A recent Canstar Blue survey of food-loving New Zealanders found that 63% of us consider a microwave to be an essential household appliance. In fact we go so far as to say that, to quote: “I don’t think I could live without a microwave.” Hmmm. 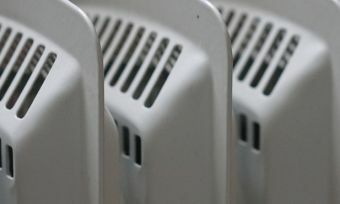 Nevertheless, worries about microwave-related health concerns still exist, with an often-cited cause of concern being the risk of chemicals leaking from plastic that is heated in a microwave and contaminating the food. But is this risk real? Here’s the advice from several New Zealand organisations. The Cancer Society of New Zealand recommends that you should not microwave or heat plastic water bottles, or other non-microwave-safe plastics, as at high temperatures they may release chemicals which could be harmful. You should always use plastic containers that are made with the intention of using in the microwave, as the International Agency for Research on Cancer says there is not enough evidence to suggest there is evidence that products that are intended for use in microwaves cause cancer. 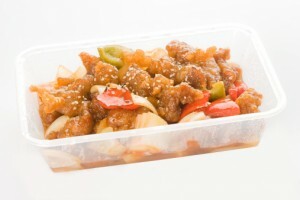 However, don’t use plastic takeaway containers or other plastic containers that aren’t intended for microwave use, and only use plastic wrap in the microwave if it is labelled as microwave safe. The Ministry for Primary Industries, via their Foodsmart website, also warns warns that plastic containers not specifically designed for microwave use shouldn’t be used in the microwave. The same goes for cling wrap. The Ministry explains that there are more than 30 types of plastics commonly used in food containers or packaging and it’s the additives that make the plastic flexible which can sometimes leach into food. If you follow the manufacturer instructions though, there should be nothing to worry about. You can read more Ministry advice here. Most ceramics, glass-ceramics and papers are fine. The New Zealand Food Safety Authority highlights plastic additive bisphenol A (BPA), which can leach into food or water in very low concentrations, especially if repeatedly exposed to very high temperatures such as in the microwave. The Authority stresses, however, that the risk is very low as the quantity of BPA that would need to be consumed to have an effect is unrealistically high. Across the Ditch, the Australian-based Commonwealth Scientific and Industrial Research Organisation (CSIRO) reiterates the above advice – that only items designed for the purpose should be used in the microwave. Further, even if your container is “microwave safe” – it should be binned when it starts to show signs of wear and tear. Interestingly, the CSIRO claims that the leaching of chemicals into food from non-microwave safe containers is more likely if you’re heating fatty foods. Something to keep in mind! Wherever possible, even when buying takeaway in convenient plastic containers, transfer food to glass or ceramic bowls instead before heating. You could even go old-school and use a saucepan on the stove! Even microwave-safe containers have a used-by date. When you containers start to look worn or have chips, scratches and cracks, it’s time to bin them and buy some new ones. Something to keep in mind when defrosting – unwrap the frozen items from the (likely) plastic bags that they have been stored in before putting them in the microwave. Cling wrap may melt during the heating process if it’s touching the food, so keep it well clear. Consider paper towels or a glass lid instead. Check the plastic containers for a label that says “microwave safe”.